Long distance relationships are not easy. Being in a committed relationship that’s challenged by distance can cause a lot of stress, anxiety, and for most, jealousy. One of the things that can help is a token that can remind your partner of your commitment to him or her. 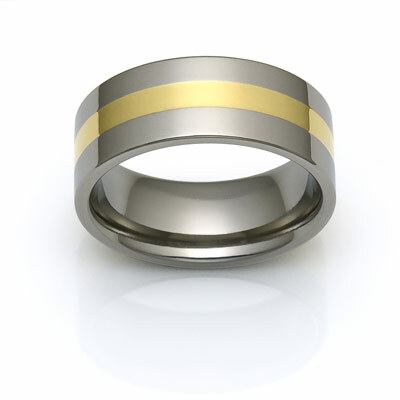 Inlaid titanium rings are a great token that couples can cherish for years to come. There are a variety of reasons why people have to be separated, be it education, military service, professional careers, or engaging in an online relationship. Whatever the reason, a long distance relationship is never easy and each has its own unique challenges. However, they are not impossible to maintain. The distance and lack of a physical connection is one of the realities that long distance couples struggle with. Titanium inlay rings that act as promise rings are a great reminder of the commitment, love, and friendship you have with your significant other. Why titanium rings with inlay? Rings made of titanium are durable, hypoallergenic, and lightweight—no matter what your lifestyle or job, they make for great rings that you can wear all day, every day. As a high-quality metal, they’re not only stunning but also very durable and highly resistant to dents, scratches, cracking, corrosion, and fatigue. If you’re looking for a beautiful metal that offers great aesthetic value and a wealth of design options, titanium bands are exactly what you need. More than that, being in a long-distance relationship, the traveling, care packages, and communication costs can pile up. 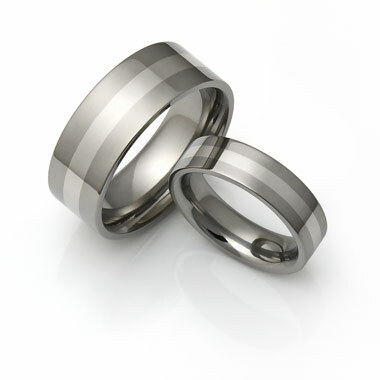 With inlaid titanium rings you can get a stylish couple ring without breaking the bank. You can design matching rings with inlays of precious metals like gold, platinum, or silver. For ladies, you may opt for a stone-set to give it a bit of a sparkle that can be paired with any outfit for special occasions or with your everyday wardrobe. Men, on the other hand, opt for titanium because of its sleek, masculine and understated look. They can choose from inlays or hammered, sandblasted or simple black bands designs which the wearer can feel comfortable using. A promise ring is a great way to show your partner that you care about him or her. Put your love on display and remind each other how in love and committed you are to your shared life with inlaid titanium rings. Here at Titanium Style, we offer reasonably priced titanium jewelry that lets couples express their love for each other even if they’re miles apart. We invite you to browse our products or contact us and let us help you find the right ring for you and your loved one.